Hit Astoria bakery Chip is opening a new cookie shop in Ditmars today. 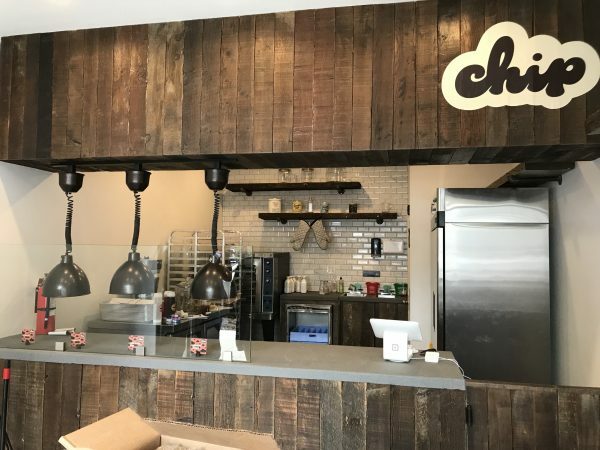 Chip will open a new shop serving its signature gooey cookie flavors at 22-04 33rd St. at 5 p.m. The shop will rotate the same 25 cookie varieties— including fan favorites such as chocolate chip, funfetti, s’mores, oatmeal apple and peanut butter. The shop will also rotate in “specialty” flavors like baklava and Italian rainbow cookie. In honor of the opening, the first 50 customers at the Ditmars location will receive a fresh baked cookie for free, said Andrea Prunella, Chip’s executive pastry chef. The new shop will be Chip’s third cookie bakery. The first Chip launched at 30-06 34th St. in July 2017, and since then the company has opened a cookie shop on 14th St. in Manhattan and an ice cream store at 41-01 31st Ave.
Prunella said that the high demand for Chip cookies almost necessitated opening a new cookie shop in the neighborhood. Prunella estimates that the original Astoria cookie shop sells about 1,000 to 1,5000 cookies on weekdays, and about 1,500 to 2,000 cookies on weekends. In many ways, Prunella said, the Ditmars cookie shop will be a “copy” of the original store, although the new location will not offer coffee. The shop will also be a similar format, with a standing bar and high stools but no tables. Like at the other cookie shops, all of the batter is prepared at a separate Astoria bakery but is baked in-shop, Prunella said. That way, all of the cookies are served freshly baked and with the shop’s signature texture— firm on the outside and gooey on the inside. The new location will only be open from Thursday to Sunday for the next two weeks, and thereafter will be open daily. Chip is open from 11 a.m. to 10 p.m.
Chip does not currently do small deliveries, but can deliver or cater for events that require 24 or more cookies. Best Cookies in Astoria, actually maybe the best in NYC! The Gansevoort Market location is always empty and never has waits. Also, the last few times I’ve found the cookies to be fairly undercooked in the middle.